Contractors and builders have long been among our most devoted customers. Throughout the years, Iverson’s developed a thorough understanding of the needs of contractors and other professionals. Our contractor sales staff are prepared to expedite your orders and to arrange deliveries where and when you need them. You’re invited to call or visit any of our locations with your special needs or questions. You can depend on our professionals for the understanding, advice and help you want. Professional contractors have come to rely upon our experienced sales staffs to provide support services such as plan take-offs and sales estimating. 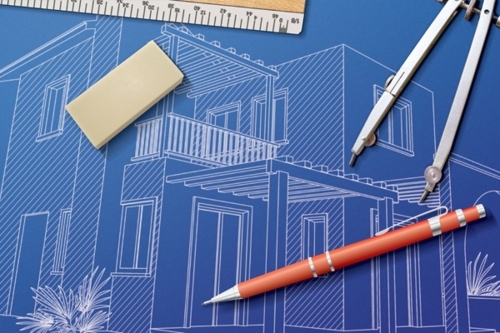 We are experts at estimating and we’ll be happy to quote from your blueprints or drawings. When you need an estimate on a house or a major renovation project, you’ll get it fast and accurately. That means of course, that you will be able to give your customer a precise quote without delay. We have specialists who will come to your construction site to conduct on-the-job field measurements for windows and trim packages. Also to help you with kitchens, doors, roofing, siding, stairs, lumber needs and more. Iverson’s Lumber has the ability to do computerized deck design and estimates. Our professional deck designers will print a drawing of your deck, explain material options, and finish it off with stairs, railings and balusters to fit your taste and budget. Iverson’s will assist you with your kitchen and bath ideas, measurements and plans. You can make an appointment or drop in so we can help make your dream kitchen or bath become a reality. From basic builder brands to semi-custom and full custom kitchens. Our staffs use an advanced computer design system that can print you out a layout of your new kitchen or bath. You may take and review the layout with your builder and make any modifications you wish. Visit our showrooms featuring beautiful cabinetry, staircases, windows and doors, roofing materials and wood and vinyl sidings and more! Our displays allow you to see and feel the textures and colors of our products for yourself. TJI wood “I” beam floor and rafter systems. Micro lam, LVL, laminated veneer lumber beams. Kant-Sag and Simpson metal hangers and connectors. Computerized sizing of TJI, Micro lams and Hangers. Fax Orders! Convenient, Easy and Fast! Don’t have time to visit us? Fax us your order! One of our experts will accurately quote your order and Fax, E-Mail or call you with an estimate. Visit our store locations page for fax numbers.